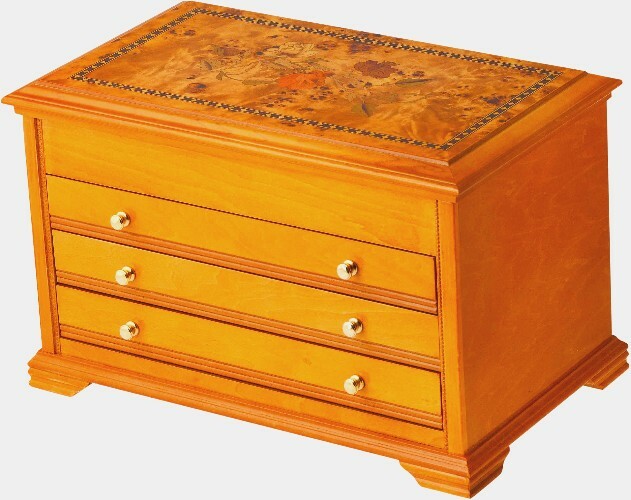 Wooden jewellery box for storage of jewellery. 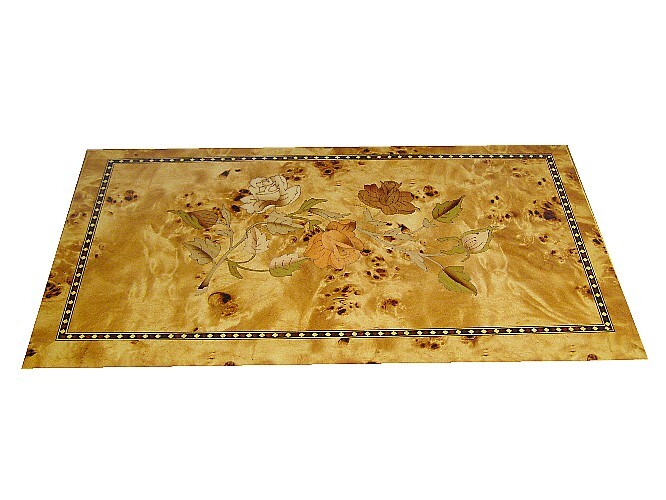 This jewellery box from the "Oriental Rose" collection offers an outstanding sized jewel case featuring a delicate floral pattern on natural wood finish. 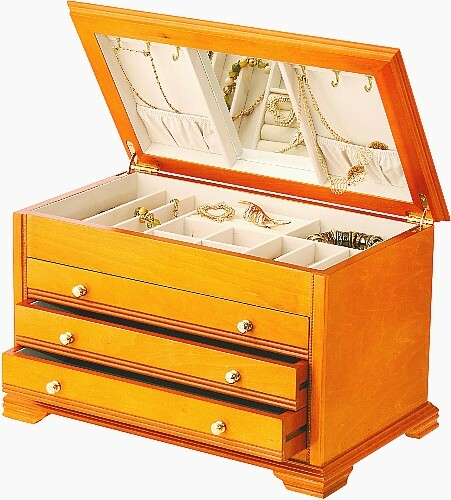 The jewellery box has hanging hooks for necklaces, an internal mirror and features both ring and other compartments for jewellery. 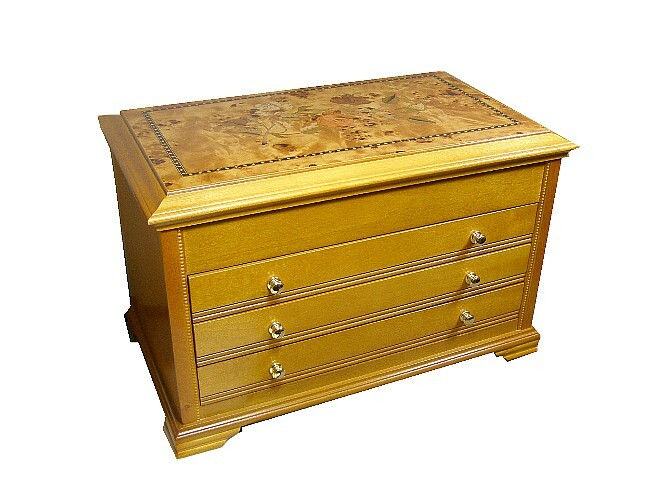 Below the main opening lid are three large drawers for further storage of jewellery. 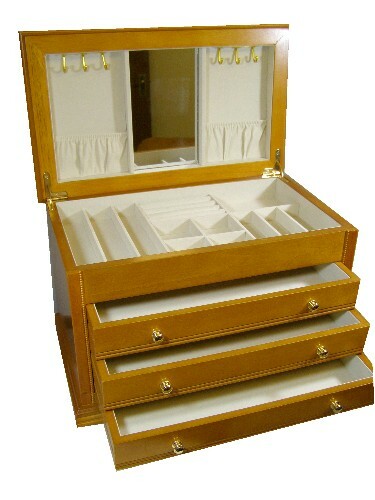 The jewellery box measures 40 x 24 x 25cm. Internal lining is a cream coloured baize.